A few years ago, I brought fresh Brats to a Friend’s BBQ and made the mistake of just throwing the Brats onto the hot grill without prepping the Brats. After a few minutes on the hot grill, the Brats shriveled up and tasted super dry. It was horrible. 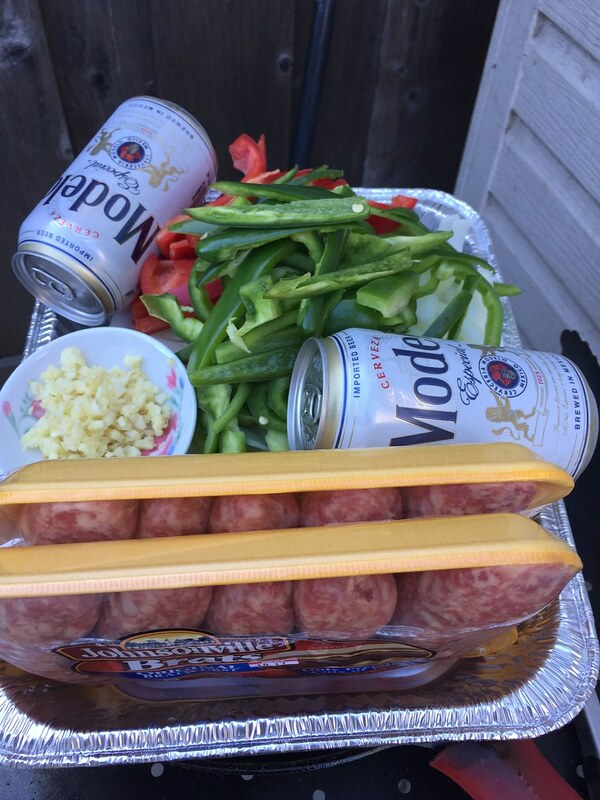 After that cooking fail, I researched on how to cook Brats and discovered Beer Brats. In this technique, the Brats are simmered in beer and then grilled it over direct heat. Simmering the brats in beer keep it plump and juicy. This is a pretty simple recipe to do. I did this all on the Weber grill, but you can certainly make it indoors as well. Prepare Grill – Set up two-zone fire on the grill for indirect grilling. Clean grate and then oil the grate. Saute Veggies – Place large skillet under direct heat. Heat vegetable oil in a large skillet. Cook and stir garlic in hot skillet until softened, about 5 minutes. Add green bell pepper, red bell pepper, and onions and season with Salt and Pepper. Continue to cook and stir until tender, about 5 minutes more. 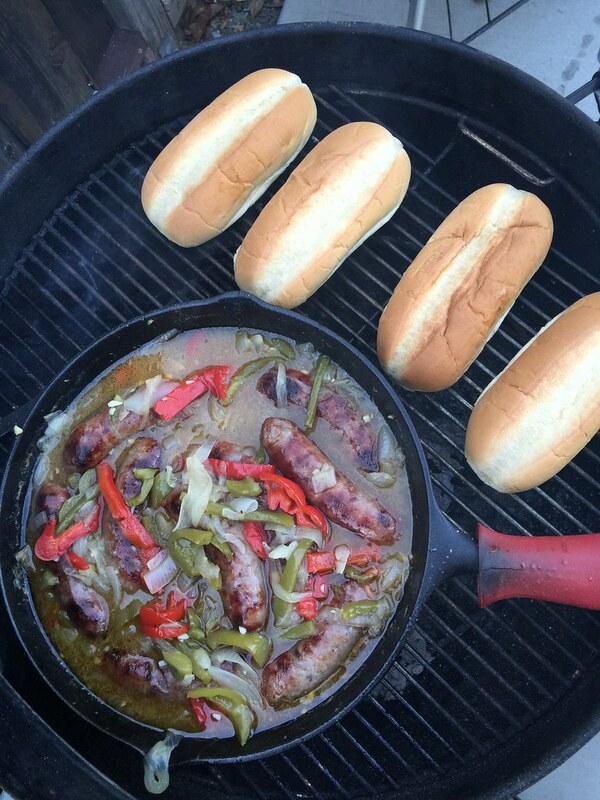 Simmer Brats – After veggies are cooked, pour beer into the large skillet. Add brats and bring to a boil. Move large skillet under the indirect heat. Cover lid for about 20-25 minutes. Flip brats halfway through simmering process. 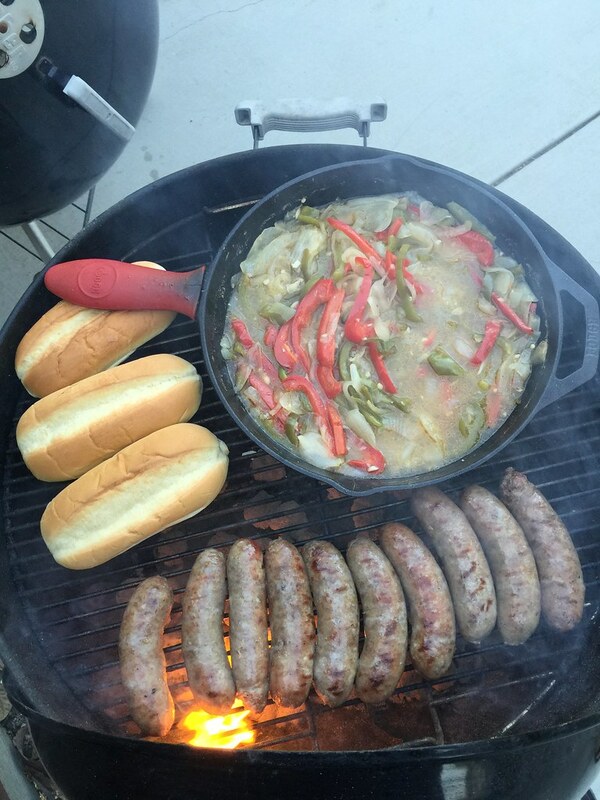 Grill Brats – Remove brats from large skillet and place directly over direct heat. 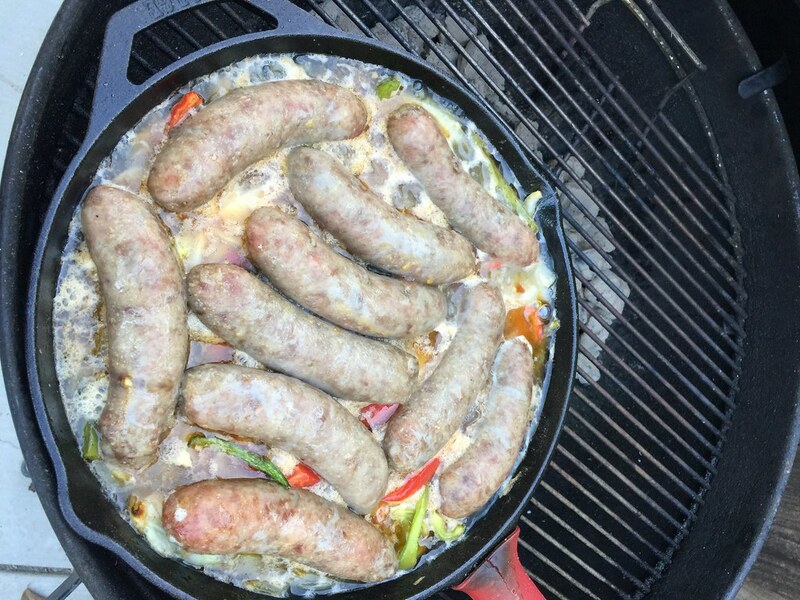 Grill brats until golden brown and return to large skillet until ready to serve. 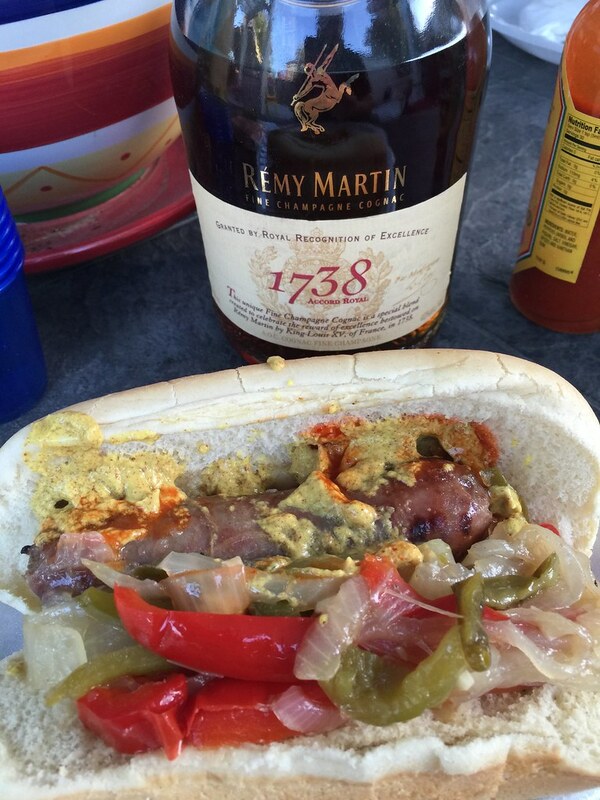 Serve brats in a toasted bun and top with your favorite condiments. If you don’t have a cast iron skillet to cook on the grill, you can saute the veggies and simmer the brats on the stove top and finish off on the grill.